Our services are built around the natural booking cycle of a traveller. 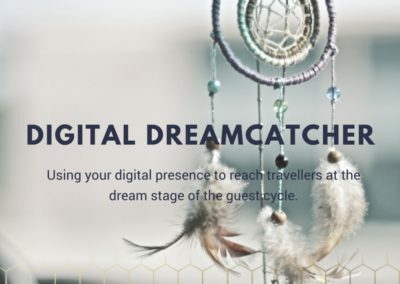 We believe that by investing efforts early on in the booking cycle, we can not only understand the guests’ needs but also ensure that we reach the right audience and build a lasting relationship creating a return guest for our clients. 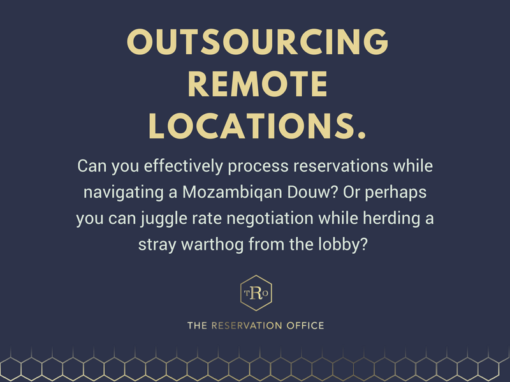 Our service offering extends beyond the task of simply facilitating a reservation enquiry, we pride ourselves in professional reservation management. 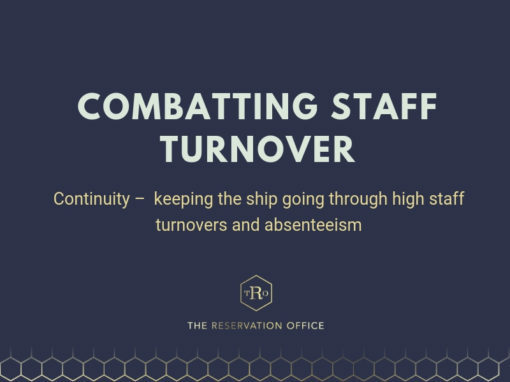 Our services are available on a contract basis or ad hoc as you need relief for staff on leave, ill or to assist with the increased workflow over your busy seasons. 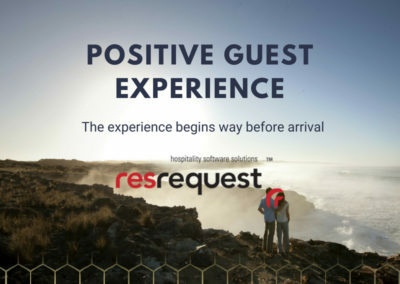 Whether you cater to leisure or business travellers, run a 100-bed lodge, or an intimate guest house, each potential guest will have their unique requirements and preferences. It is at the dream stage of booking that we have the opportunity to entice travellers to consider your establishment. We work together with your marketing team or with one of our recommended partners to ensure that your establishment’s content appeals to your desired markets and is strategically released via Social Media, Email Marketing, Online Travel agents (OTA’s) and Affiliate Sites to maximise results. Are you streaming your LIVE game drive footage? Are you reminding the businessman that his wife receives complimentary spa treatment while he attends his conference? 24/7 access to information via online channels allows travellers to plan, research and compare like never before. 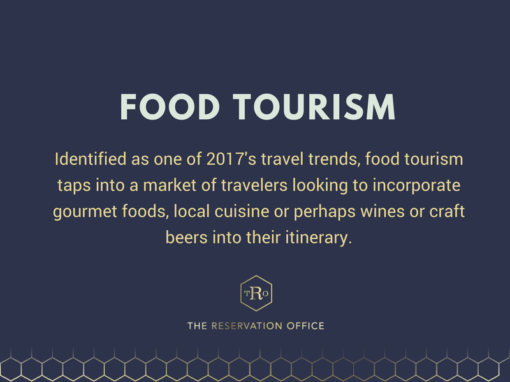 A comprehensive online presence can assist in ensuring your establishment not only appears when travellers are researching, but also that you are offering your best available service and rate for that traveller. Live availability and online bookings are vital in securing reservations as you’re meeting the traveller’s instant need to purchase. 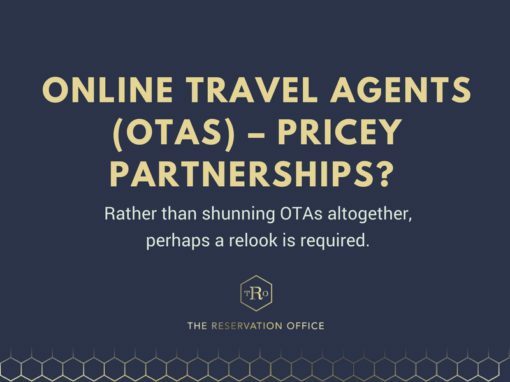 THE RESERVATION OFFICE works with leading Online Travel Agents (OTA’s) and distribution channels. 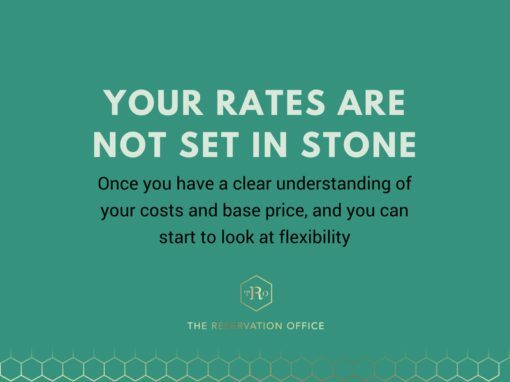 We also work in partnership with Nightsbridge and other systems to ensure your rates and availability are made available to these distribution channels as well as converting your own website into a booking channel with live availability and rates. 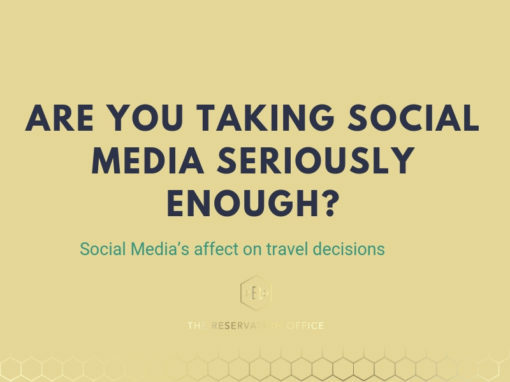 Social Media’s affect on travel decisions – are you taking it seriously? 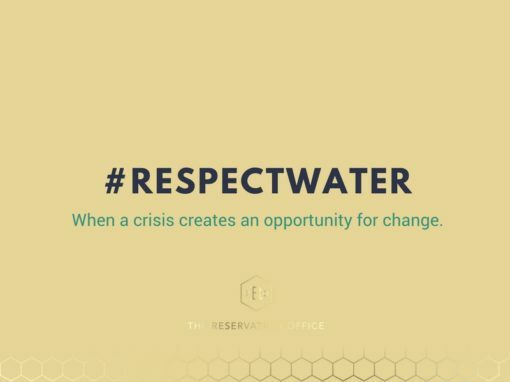 When a crisis creates an opportunity for change. 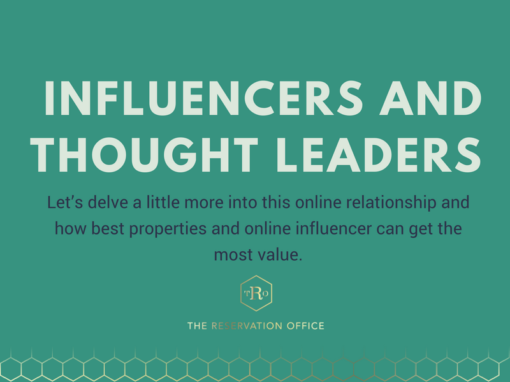 Influencers and thought leaders – digital peer pressure. 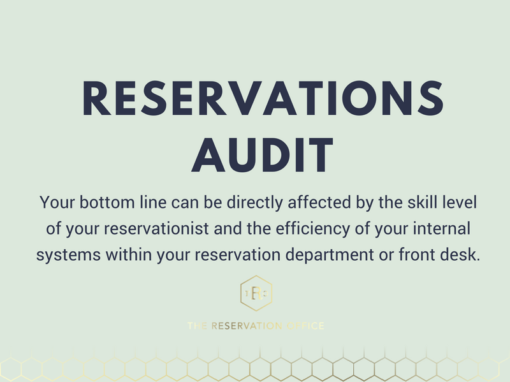 Give your Reservation Process an Audit! 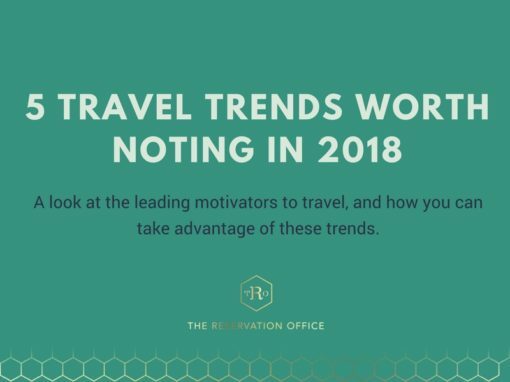 The Travel Agent, The Tour Operator, The Direct Guest and the Online Booker – unique audiences with unique needs. 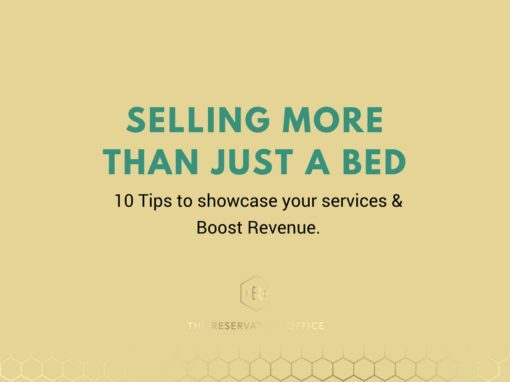 What about variable rates, specials and optimising your guest experiences across these audiences? 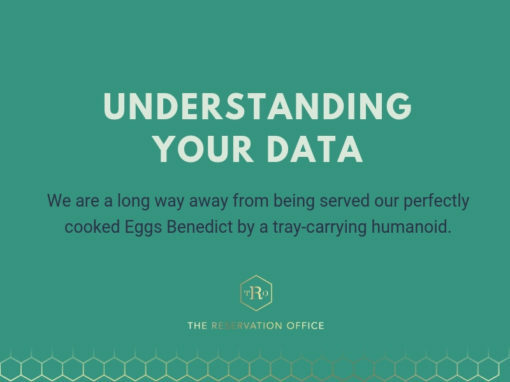 Our responses are tailored to cater to the specific guest type, and our extensive knowledge of your property assists guests with making informed decisions regarding their accommodation choice. Do you know which time of year your International guests visit? Are you aware of a change in bookings coming from your distribution channels? Has your achieved rate for a sector of your market increased or decreased? Intelligent reporting ensures that the data you receive is meaningful to your day-to-day business decisions. 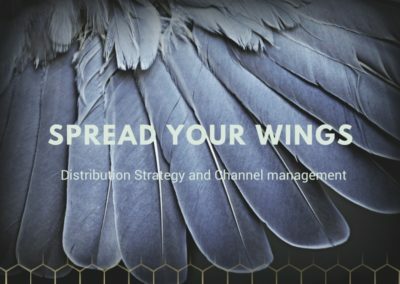 We provide you with insightful feedback on the performance of your distribution channels, reservations and revenue management. We also offer custom reporting to enable you to have just the right information at the right time. 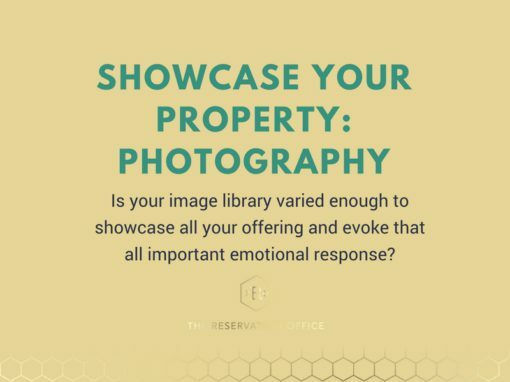 Depending on the PMS (Property management system ) used by your property and the data available to us, we will work together with your marketing agencies to provide tailored reporting. 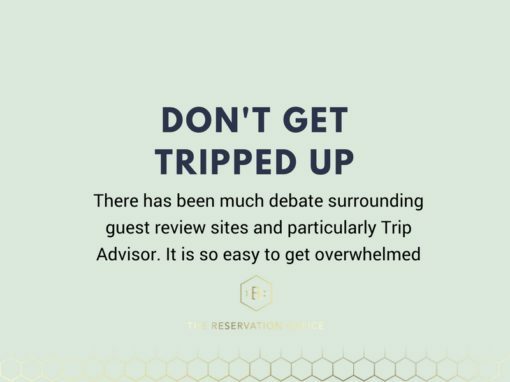 If you consider the time and money spent to acquire one guest booking, you will understand the emphasis we place on ensuring that we retain the highest possible amount of guests as return visitors or ambassadors for your establishment. 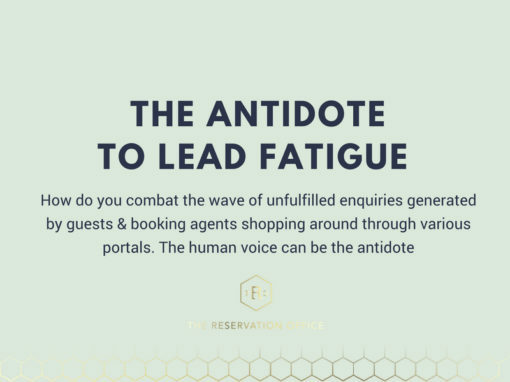 We work with leading hospitality CRM, guest loyalty and bespoke customer journeys to make sure that we have opportunities at each guest touch point to develop a relationship with them. Our pre-stay, in-house and post stay communications provide us with the opportunity to continue building on those relationships and continue to entice guest loyalty. These communications include: personalised welcome email sent to guests prior to their stay which a short form to find out just what their preferences are (so you can plan and make sure everything is just perfect for them), departure letters with feedback links and loyalty incentives, as well as scheduled mailers for special events, anniversaries and birthdays.